Thank you for your business and support! Wishing you and yours a holiday season filled with "double happiness!" A Triple Red Egg and Ginger Event! 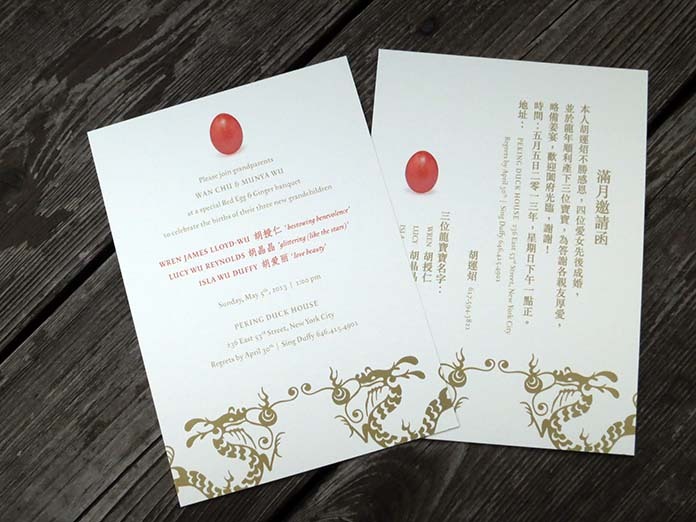 Our client approached us to design a "Red Egg and Ginger" invitation for herself and her two sisters! Yes, all three sisters gave birth within the last 6 months! The dragons represented the 3 baby dragons born into the family and the reverse of the invite was translated into Chinese. We also incorporated the Chinese names and their meanings for each child. 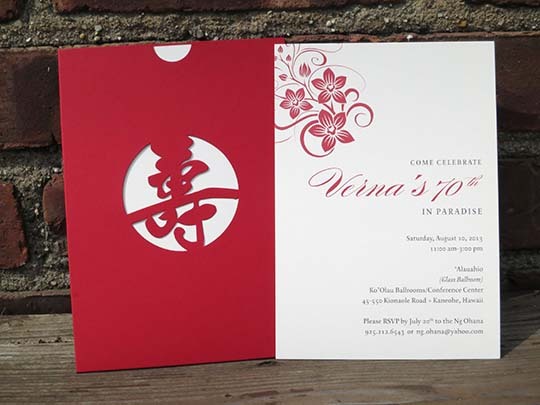 It's always great to have repeat clients...we announced the arrival of all of Jennifer's children and now we designed her mom's 70th birthday invitation! Jennifer and her sisters wanted to utilize our "long life" laser pocket envelopes and chose a simple design accented by plumeria. 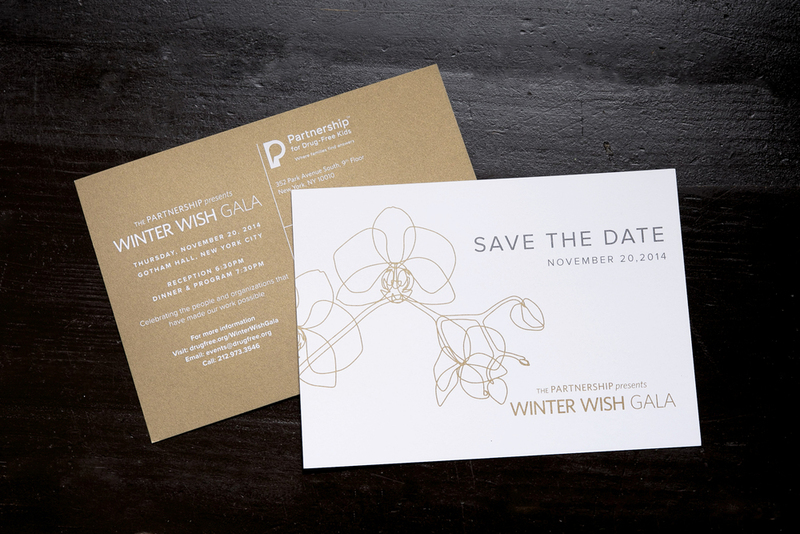 The invitation was offset printed.